Qatari and United Arab Emirates soccer bodies have provided employment for dismissed former Asian Football Confederation (AFC) senior staff implicated in an independent auditor’s report that questions the financial management of the group by its suspended president, Qatari national Mohammed Bin Hammam. The fact that the Qatar and UAE soccer bodies agreed to hire personnel that AFC let go because of their relationship to Mr. Bin Hammam is likely to prompt further questions about his links to the Qatari royal family and his potential involvement in Qatar’s controversial winning of the right to host the 2022 World Cup. Mr. Bin Hammam is fighting charges of bribery and corruption and potentially allegations of money laundering, busting of US sanctions and tax evasion as a result of the auditor’s report as well as his ousting last year as vice president of world soccer body FIFA. Mr. Bin Hammam is at the center of a number of soccer corruption scandals that have rocked world soccer and FIFA in recent years. Qatar has long downplayed Mr. Bin Hammam’s involvement in its World Cup bid despite his past close relationship to the Gulf state’s emir, Sheikh Hamad bin Khalifa Al Thani, and key role in world soccer. Mr. Bin Hammam has appealed against an AFC decision earlier this month to suspend him as president for 30 days pending review of the report by PriceWaterhouse Cooper (PWC) that alleges financial mismanagement of AFC accounts to his own benefit as well as that of family, friends and soccer bodies across the globe. The report also raises questions about Mr. Bin Hammam’s management of a $1 billion master rights agreement (MRA) with Singapore-based World Sport Group (WSG) and a $300 million broadcasting rights contract with the Qatar-owned Al Jazeera television network as well as his financial relationship to parties with possible vested interests in those deals. The report provides the Kuala Lumpur-based AFC with the reasonable suspicion of a legal offence that it under Malaysian law is obliged to report to authorities. It also leaves the AFC with little choice but to launch a full-fledged investigation of its own. 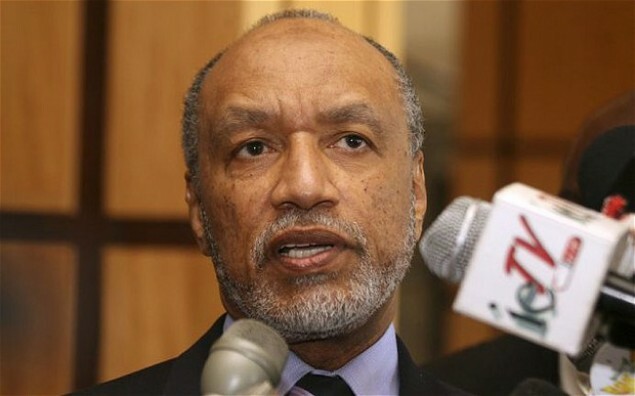 The AFC, which has Malaysian nationals, including a member of a royal family on its executive committee, can extend Mr. Bin Hammam’s suspension for a maximum of another 20 days, ten of which must be used to prepare a case against him. It also has to report its finding to Malaysian authorities within that period. The report says former AFC assistant secretary general and director of finance Amelia Gan managed AFC accounts which Mr. Bin Hammam used “to facilitate personal transactions as if they were his personal bank accounts.” It also alleges that Ms. Gan was involved in negotiating AFC’s contract with WSG that is being questioned. Ms. Gan is currently employed as club licensing officer by Qatar Stars League, which is headed by a member of the Qatari royal family, Sheikh Hamad Bin Khalifa Bin Ahmad Al Thani. Similarly, the former director of Mr. Bin Hammam’s AFC office, Jenny Be, who like Ms. Gan, AFC assistant secretary general Carlo Nohra and AFC’s director of Vision Asia, Michelle Chai, was let go last year after Mr. Bin Hamman became embroiled in the FIFA scandal, is also employed by Qatar Star League as club liaison officer. Mr. Nohra, a former WSG vice president for corporate strategy whose $19,767 car loan was paid by Mr. Bin Hammam according to the PWC report, “played a prominent role in negotiating the detailed clauses of the MRA,” PWC said. Mr. Nohra was chief executive officer of the UAE football league until January of this year. He has since become CEO of UAE soccer club Al Ain FC LLC. 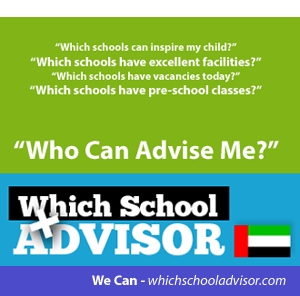 Ms. Chai is the UAE professional league’s director of club licensing and professional affairs. The league is managed by the UAE Football Association headed by Yousef al-Serkal, an AFC executive committee member who is widely seen as close to Mr. Bin Hammam. Mr. Al-Serkal is campaigning to succeed Mr. Bin Hammam as AFC president. Ms. Chai, according to AFC sources, has accompanied Mr. Al-Serkal to AFC meetings. Supporters of Mr. Bin Hammam who like some former AFC employees credit him for his turning around of Asian soccer and generosity describe him as a man who embraced new ideas, enjoyed trying out new concepts and was eager to adopt best practices. “But there’s also that baggage that is universal in world soccer. He’s just the one who got caught with his hand in the cookie jar,” said a former AFC employee. He said he like many others in AFC had been aware of Mr. Bin Hammam’s questionable financial management. The PWC report came to a similar conclusion. It is nonetheless not clear if the allegations in the PWC report prove to be true why Mr. Bin Hammam used AFC accounts for questionable dealings that could have been done through accounts that would have been harder to trace. Similarly, it is not clear why a man of Mr. Bin Hammam’s global stature apparently openly flaunted international standards of conflict of interest and good governance even if some of those practices are endemic to post-oil wealth Gulf culture. The former employee said Mr. Bin Hammam had promoted personnel to positions they would have unlikely been able to occupy otherwise. He said Ms. Gan had been a bookkeeper prior to becoming assistant secretary general and director of finance. 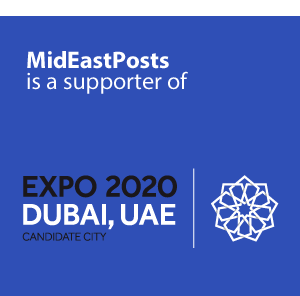 Ms. Be, he said, was a secretary before being elevated to head of Mr. Bin Hammam’s office and Ms. Chai was a development officer before also being appointed assistant secretary general. The employee said the WSG contract had enabled Mr. Bin Hammam “to live an extravagant life style” and shower his extravagance on AFC itself. He described “over the top” AFC functions at which personnel and guests were given jewelry. He said Mr. Bin Hammam’s decision in 2008 to invite the heads of member associations of the Confederation of African Football (CAF) to stop off in Kuala Lumpur for a shopping spree before continuing on to that year’s FIFA congress in Sydney instead of travelling to Australia together with other FIFA members had sparked irritation among Asian football bodies, particularly those of Japan and South Korea. The employee as well as sources close to the AFC investigation of Mr. Bin Hammam said that the Japanese, South Korean, Jordanian and Kuwaiti soccer associations have long been unhappy with the WSG contract which they saw as unfavorable to the Asian confederation. More than half of the revenues derived from the contract are believed to originate in Japan and South Korea. “Everybody who had a look at the contract could see that it was completely in favor of WSG,” one of the sources said. “Japan fought it hard. A number of associations, including Jordan and Kuwait protested. Nothing however was taken into consideration at the 2009 AFC congress,” said another source.